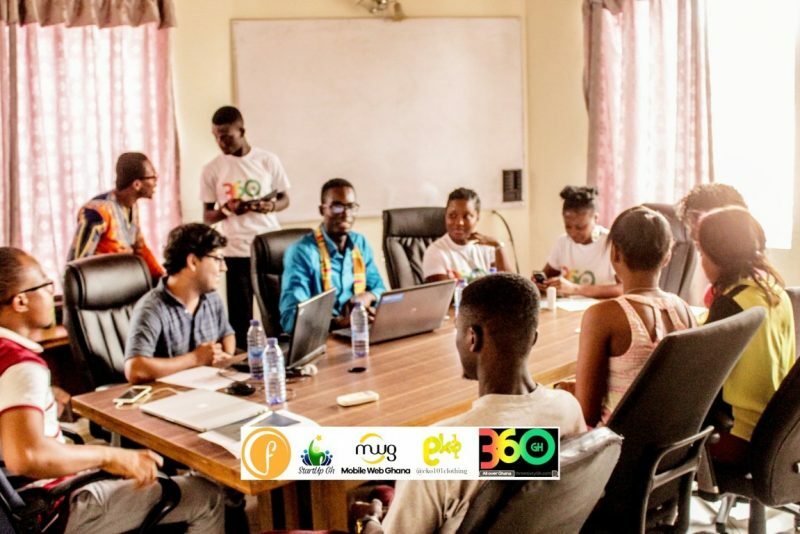 Ever since we started operating, we have made our mark in the Ghanaian tech space as an organization determined to educate and empower the youth to develop value added services on mobile devices and develop their own businesses out of them. This year we decided to introduce our community of young tech-enthusiasts to the various fields in the tech industry. Hence, we came up with the idea of a Tech Career Fair. We chose 4 branches of tech to showcase during the event. They were: Video Game Development, Virtual Reality, Robotics and Mobile App Development. The Fair was put together to expose young tech-enthusiasts to the various technology fields that they could pursue and become successful tech entrepreneurs in. We wanted the stories of the more established entrepreneurs in the industries to inspire the younger ones to even aspire to greater heights. We believe in the potential of the young tech-enthusiasts scattered all over the capital and even the other major cities in the country. However, if their passions and skills are not set on the right path, they may end up making the very same mistakes their predecessors made. The event was well attended by a mixed-collection of people – most of whom were students. Some of the students came from Ashesi University, Ghana Technology University College, GIMPA etc. One could almost sense the enthusiasm radiating through their smiles as they set foot on our premises. Also, the speakers did their very best to engage the audience by answering questions and demonstrating how the various tech tools they have developed work. We had Eze Ogechukwu of Origma Technology making the presentation on Virtual Reality. Virtual Reality is a ‘technology that replicates an environment, real or imagined, and simulates a user’s physical presence and environment to allow for user-interaction’. The resource person came along with two Google card boards: a more simplified and less expensive Virtual Reality gear. It was a remarkable experience according to the audience when they put on the gear to experience the virtual world. It is a very interactive experience: cars change direction by the tilting of the head; it feels like you can touch what you see. Eze made mention of the fact that ‘the virtual reality industry will be worth 150 Billion dollars by 2020’. This makes it a very lucrative field even considering the fact that technological giants like facebook and google have started investing in it. ‘… by 2020 there will be 1.4 million computing jobs in the world’. He also went on to emphasize the point that even in Ghana, software development pays well. In closing, he displayed an app he developed for one of the private Universities in Accra and answered questions from the participants. For Robotics, we were privileged to have Frank Khalid Liman of Khalmax Software Systems to do the presentation. His startup is more focused on training kids as young as 7 years in robotics. He often moves from school to school, training the kids in electronics, programming, robotics etc. His presentation – though brief – was a very captivating one. He reminisced about the first time he had to do Robotics training in a particular school. Frank was disappointed by the person who promised to supply him robot parts. A day to the event, he still didn’t have the parts. His only option was to call off the training. He tried communicating that to the parents of the kids, but they didn’t seem to understand him. According to Frank,, he spent the next 17 hours building a robot out of a toy car so he could demonstrate it to the kids the following day. That is a remarkable feat. He ended his presentation by demonstrating the robots he came with and answering questions from the participants. Unfortunately the Video Game Developer couldn’t make it. Nevertheless, we had such an awesome time learning new things and drawing inspiration from the individual stories of the resource persons.